01. UN Report suggests that India would be the fastest growing economy: United Nations (UN) World Economic Situation and Prospects 2016 Report has suggested that India will be the fastest growing big economy in the world in 2016, with a growth rate of 7.3 % . 02. E-governance conference at Nagpur: The 19th e-governance conference recently concluded at Nagpur. It discussed various aspects of e-Governance ranging from Technology Enabled Services to Cyber Security framework. More than 600 delegates participated in the conference. 03. World Economic Forum meet in Davos, Switzerland: The annual World Economic Forum (WEF) meeting was inaugurated at Davos, Switzerland. The participants would be political leaders and business people from around the world. The 4-day conference will cover the discussions on tumbling oil prices and China’s uncertain economic prospects in particular. 04. Global Talent Competitiveness Index (GTCI) 2015-16 list released: India ranked 89th in the list while Switzerland topped the list. his index measures a nation’s competitiveness based on the quality of talent it can produce, attract and retain. 05. Algorithm trading launched by Bombay Stock Exchange (BSE) : Algorithm trading generated by using advanced mathematical models that involve automated execution of trade was launched by BSE in the derivatives trading category. This enables traders to take advantage of any profit making opportunities arising in the market much before a human trader can even spot them. 06. Economic emergency declared by France : French President Francois Hollande has declared a state of economic emergency to redefine France’s economic and social model. Under the emergency, government has proposed series of economic measures to boost long-stagnant economic growth and reduce chronic unemployment. 07. Deposits under Jan Dhan Yojana cross Rs.30,000 crores: Deposits in accounts opened under the government's flagship financial inclusion programme - Pradhan Mantri Jan Dhan Yojana (PMJDY) -- have crossed the Rs 30,000 crore mark. 20.38 crore bank accounts were opened under the PMJDY. 08. RBL Bank launches banking platform for startups : Private Bank RBL has launched a platform for startups viz. RBL Bank launches banking platform for startups . The platform partners with various referral service providers and forums, which empower startups to build and grow their business by offering multiple options under one roof at a special price. 01. United Nations report suggests that Foreign Direct Investments (FDI) flows into India nearly doubled in 2015: Foreign Direct Investment flows into India nearly doubled in 2015 to $59 billion. The US bounced back as the top host country for FDI in 2015 with FDI worth $ 384 billion. 02. ICICI Bank targets Rs 80,000 crore mobile banking transactions by March 2016: ICICI bank is targeting total transactions worth Rs 80,000 crore through mobile banking by the end of this fiscal. ICICI is now the leading bank in the mobile banking business with 29% market share as on September 2015. 03. Engineering exports slump in December : Engineering exports, which forms a a major chunk of total out-bound shipments, slipped 16 per cent to $5.8 billion in December due to slowing global demand. The figure for December 2014 was $6.9 billion, according to Commerce Ministry data. 04. France to invest $1 billion per year in India : France would be investing USD 1 billion per year in various schemes in India and this was announced by French President during his recent visit to India. 05. 100 stations to get Google wi-fi free : In one year at-least 100 railway stations across the country will have Google wi-fi. Recently a free high-speed public wi-fi service was launched at Mumbai Central Station in collaboration with Google which became first such station in country to get such facility. 06. Ranchi hosts India’s largest national flag: India’s tricolor measuring 66 feet in height and 99 feet in width was hoisted on a pole with height of 293 feet at Ranchi. The flag weighed 80 kg. 01. Person of Indian Origin wins Oscar for for technical achievement: Rahul Thakkar, a person of Indian origin has won an Oscar in the category of groundbreaking design of the DreamWorks Animation Media Review System. Thakkar is a computer engineering graduate from Mumbai Univeristy and took his Master’s degree in computer science from Utah State University. 02. New Chairman for Central Board of Direct Taxes (CBDT): Atulesh Jindal has been appointed as the new Chairman of CBDT. Jindal is a 1978 batch Indian Revenue Service (IRS) officer. CBDT is a statutory authority functioning under the Central Board of Revenue Act, 1963. 03. World’s best hotel is in Jodhpur: The “Umaid Bhawan Palace” in Jodhpur has been named as the world’s best hotel by the Travellers' Choice award organised by TripAdvisor. Named after Maharaja Umaid Singh, grandfather of the present owner Gaj Singh of the palace, Umaid Bhawan Palace has 347 rooms. 05. Govt may miss fiscal target again : The lower GDP growth is likely to result in the government breaching the FY16 fiscal deficit target of 3.9 per cent by 0.20 per cent, according to the report of the domestic rating agency India Ratings . 06. Pollutants reduced by 18 per cent on odd-even days, US-based study: As per the study conducted by Harvard University, the volume of respirable pollutants in the city’s air reduced by 18 % during the odd-even scheme that regulated the plying of four-wheelers on Delhi roads . 07. Government approves Rs 4,918 crore highway project in Bihar and Jharkhand: The government today approved a Rs 4,918-crore highway project for widening of NH 2 stretch in Bihar and Jharkhand to augment the state’s infrastructure. The widening of the national highway (NH) will be done at an estimated cost of Rs 4,918 crore. 08. India among top 5 most promising markets globally : According to the annual global CEO survey of consultancy giant PwC released here at the WEF Annual Meeting, India has emerged as one of the five most promising markets for businesses globally as it offers one of the best opportunities for both domestic as well as global companies. 01. Infrastructure projects sanctioned for Tamil Nadu: Projects worth Rs.33000 crores in the area of infrastructure have been announced and sanctioned for Tamil Nadu, which is in addition to the already sanctioned amount of Rs.17000 crores, thereby taking the investment to Rs.50000 crores. 02. IRNSS-1E satellite successfully launched by PSLV-C31: The ISRO has successfully launched the Indian Regional Navigational Satellite System (IRNSS) 1-E satellite, which will help provide navigation, tracking and mapping services to the Indian sub continent. 03. Tribals in Andhra Pradesh gets new welfare scheme: “Giriputrika Kalyana Pathakam Scheme to support the tribal women in AP was launched recently and under this scheme a onetime financial assistance of 50000 rupees will be provided to each tribal woman who gets married. 04. 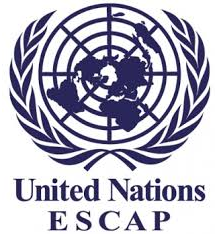 United Nations Economic and Social Commission for Asia and the Pacific (UNESCAP) report released:UNESCAP report released recently indicated that Global growth is estimated at a mere 2.4 percent in 2015, marking a downward revision by 0.4 percentage points from the UN forecast. 05. Japan lifts nuclear sanctions on Iran : Japan has lifted the nuclear sanctions on Iran and this move will allow Japanese companies to pursue investment in Iran's oil and gas industry. Japan had been importing around 10 % of Iran’s oil before introducing the sanctions. 06. Inaugural report of the Best Countries released at World Economic Forum: The report evaluated 60 nations across 24 rankings on parameters of a wide range of criteria, from sustainability to economic influence. Germany stands first in the list, while India is ranked 22nd. 07. Base Erosion and Profit Shifting (BEPS) guidelines to be implemented in India: BEPS guidelines refers to tax planning strategies that would exploit the gaps and mismatches in tax rules to artificially shift profits to low or no-tax locations where there is little or no economic activity, resulting in little or no overall corporate tax being paid. 01. Sikkim declared as the first organic state in the country: Prime Minister Narendra Modi today declared Sikkim as the first organic state in the country, saying it will soon become the harbinger of organic farming not only in India but around the world. 02. Road map for new accounting standards in India: Implementation of Indian Accounting Standards (Ind AS) would be implemented in the country and norms will be prescribed for with International Financial Reporting Standards for scheduled commercial banks, insurance companies and non-banking financial companies. 03. ISRO signs pact with Kuwait for space exploration: The Indian Space Research Organization (ISRO) and Kuwait Institute of Scientific Research (KISR) have inked a pact in the areas of cooperation in the exploration and use of outer space for peaceful purposes. The pact will allow usage of data from Indian Remote Sensing satellites by Kuwait for research. 04. Agreement between India and UK: India and UK signed an agreement in the area of sharing good governance practices in public administration. It will also cover reforms towards strengthening of social security. 05. Cabinet Committee on Economic Affairs (CCEA) approves solar projects : CCEA approved solar projects worth Rs.5000 crores recently. The projects under this scheme will be implemented through Phase-ll of the Jawaharlal Nehru National Solar Mission (JNNSM). 06. Virat Kohli sets record: Virat Kohli had to just bat for 161 inninings to become the fastest Indian to score 7000 runs in ODI cricket. He is currently one of the leading scorers in Indian cricket, who is targeted to set new records. 07. National Family Health Survey (NFHS) report released by Government : NFHS reports released by the Government suggested that there had been improvements in maternal and child health and nutrition. Many States / Union Territories have rates below 51 deaths per 1000 live births. 08. Bihar government approves reservation for women: The Bihar Government already has provisions for allotting 35 percent reservation for women in recruitment as police constables and sub-inspectors and 50 percent reservation as primary school teachers . 01. First female president for Taiwan: Tsai Ing-wen , the candidate of the opposition Democratic Progressive Party has won a huge victory in Taiwan's presidential election and Tsai Ing-wen was elected as the island's first female president. 02. Asian Infrastructure Investment Bank (AIIB) gets new Indian director: AIIB has got a new Indian director on its board. Dinesh Sharma, who is currently the Additional Secretary of Ministry of Finance was appointed as the Director on recommendations from the Indian Government. 03. New Initiative Start-up India: Prime Minister Modi has launched start up initiative to encourage the upcoming startups in India. Under this initiative, a separate fund will be created with 10000 crore rupees corpus for development and growth of innovation driven enterprises. 04. Delhi Acers are new Premier Badminton League (PBL) title holders: Team Delhi Acers defeated Mumbai Rockets to emerge winners in the PBL tournament, which was promoted by Badminton Association of India. Bollywood actor Akshay Kumar is the brand ambassador to the tournament. 05. Sixth Snooker Masters title for Ronnie O'Sullivan: Ronnie O'Sullivan has won the sixth Snooker Masters title by defeating Barry Hawkins in the finals. The champion is an English professional snooker player. 06. China’s Economy grew by 7%: The Chinese economy grew by 7% during the fiscal 2015. Analysts polled by Reuters have forecast 2015 growth cooled to 6.9 percent, down from 7.3 percent in 2014 and the slowest pace in a quarter of a century. 07. Exports in India shrink: Exports shrunk consecutively for the 13th month in a row in December 2015 as outward shipments shrank 14.75 per cent to $22.2 billion amid a global demand slowdown. 08. Revenue of Rs.15,000 crores from Gold bond scheme will not be achieved: Even as the second tranche was launched recently, Government is unlikely to mobilise Rs 15,000 crore from sovereign gold bond scheme. The government could mobilise Rs 246 crore from the scheme in the first tranche. 02. Sania – Hingis win yet another tournament: Sania Mirza and Martina Hingis have won the 2016 WTP Apia Tennis Tournament recently. Cumulatively, the pair have won 11 titles since the year 2015 and have been very successful. 03. Mega Startup fund can have multiplier effect: The recently announced startup fund of Rs.10,000 crores by the Government of India would have a multiplier effect which would boost investment into the country. 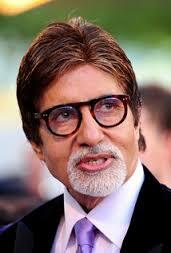 Out of the above Rs.2500 crores would be released immediately. 04. Internet users in the country to touch 50 crores: Over the next few months, the internet users of the country would touch the 50 crore mark. Out of the above, 70% of the internet users, would be browsing through their mobile phones. 05. Income Tax department to expedite refunds before month end: The IT department would expedite refunds to the tune of Rs.1,148 crores for around 64,000 tax payers by the end of this month. 06. 1000 Postal ATMs by year end: Postal department would open nearly 1000 ATMs by the end of the financial year. Postal Banks are also envisaged. Presently there are 1,50,000 post offices in the country and a massive Core Banking operation is currently on in the postal department. 07. RBI increases shareholding in National Housing Bank by infusing Rs 1,000 crore : RBI has increased its shareholding in NHB by infusing Rs 1,000 crore towards the paid capital. Thereby, its share has increased its shareholding in the NHB from Rs 450 crore to Rs 1,450 crore,"
08. ICICI Bank’s mortgage portfolio crosses Rs 1 lakh crore : Among the private sector bank, ICICI Bank’s mortgage portfolio has crossed the Rs.1 lakh crore mark. Close to 55% of ICICI Bank's total retail business comes from mortgages which includes home loan and loan against property. 09. SBI goes to South Korea : SBI has opened its first branch in Seoul, South Korea. The branch is expected to play an important role in strengthening economic partnership between the two nations. With over 135 branches across the globe , SBI has the largest presence in foreign markets among domestic banks. 10. IDFC Bank buys 10 per cent stake in ASA International India for Rs 8.5 crore : Newly launched private sector IDFC Bank has bought a 9.99 per cent stake in ASA International India Microfinance for about Rs 8.5 crore, the first investment by a lender in a microfinance institution. 01. Word Bank releases report on technology: World Bank released a report titled “World Development Report 2016: Digital Dividends in Washington DC, the USA.” which informed that nearly 71% of the world population are not on the internet. 02. 68th Army day Celebrated: The 68th Army day was celebrated on January 15th and this day is in commemoration of the day on which Lt. Gen;Kariappa became the first Commander-in-Chief of Indian Army. 03. PM bats in favour of fruit mix in aerated drinks: PM Modi suggested to the top brass of the aerated drinks industry to mix 2% natural fruit juice in all the aerated drinks, so that this would help the farmers to market their produce in a better way. 04. Soft Bank to pump in funds for start-ups in India: Japan based Soft Bank has assured to pump in USD 2 Billion into India for assisting the start-ups here. The bank foresees a golden time for start up innovation in India. 05.Income Tax refund touch Rs.65000 crores: The Income Tax department has issued a record Rs 65,000 crore worth refunds in this Financial year. Between April and now, CBDT has issued refunds to 1.98 crore assesses. 06. 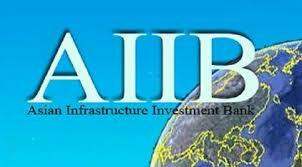 Asian Infrastructure Investment Bank (AIIB) opened: The AIIB has 56 participating countries, amongst India. The bank was formally established in Beijing on December 25, 2015. With authorised capital of USD 100 billion and subscribed capital of USD 50 billion, Beijing-based AIIB will invest in sectors including energy, transportation, urban construction and logistics as well as education and healthcare. 01. India’s Grid-linked solar generation capacity crosses 5,000 MW: This is a remarkable feat and the Government is eyeing to achieve 175 Giga Watt (GW) of power generation capacity from renewable sources by 2022. The break up of the projected generation would be 100 GW from solar and 60 GW from wind. 02. Sovereign gold bonds issue price fixed at Rs.2600 per gram: The Reserve Bank has fixed the public issue price at Rs 2,600 per gram for the sovereign gold bonds. The first tranche of the scheme, which was launched in November, had got a subscription for 915.95 kg gold amounting to Rs 246 crore. 03. 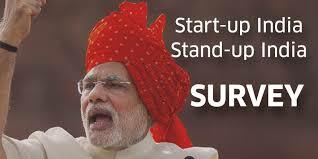 Start up movement to be launched by PM: Prime Minister Modi would be launching the start up movement in the country, by releasing the Start-Up Action Plan, visit a virtual exhibition and interact with start-up entrepreneurs to mark the occasion. 04. WPI inflation rises: Wholesale Price Index inflation rose from -1.99% to -0.73% due to increase in food prices. According to the data released earlier this week, retail inflation also rose to 5.61% in December, its highest since September 2014. 05. China’s Foreign Direct Investments increase: China received USD 126.27 billion in foreign direct investment last year, registering 6.4 per cent year on year increase, despite slowing growth in the world’s second-biggest economy. FDI which excludes investment in the financial sector, rose 6.4 per cent year on year to USD 126.27 billion in 2015. 06. World Bank hails Aadhar ID scheme in India : World Bank has informed that about $1 billion (Rs.650 crores) per annum has been saved by the government due to Aadhaar ID, since it has reduced corruption and leakage of revenue for the government. 07. Hiring activity shows increase: Hiring activity has registered 25% increase per cent growth in December, which was pushed Banking, IT, telecom and FMCG sectors. The Naukri Job Speak Index for the month in 2015 was at 1,783, recording a 25 per cent growth in hiring activity over December 2014. 08. 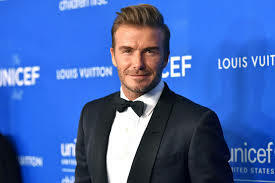 David Beckham gets UNICEF award: David Beckham received the Danny Kaye Humanitarian Leadership Award at the sixth biennial UNICEF Ball in Los Angeles. This award was given away for his tireless work to save and improve the lives of children around the world. 09. Madhya Pradesh inks pact with Singapore: MP government has signed a pact with Singapore for setting up a 1000 watt wind energy power plant in the state. Another agreement for food processing was also signed with Singapore. 01. Marat Safin honoured: Russian Tennis Federation has announced that the former World No.1 tennis player has been inducted into “International Tennis Hall of Fame”. 02. Sugar Cess (Amendment) Bill, 2015 gets presidential nod: This bill paves way for raising the ceiling of the impost from 25 to 200 rupees per quintal, which will help sugarcane growers and cash-starved mills. 03. India - Japan Joint Coast Guard exercise: “Sahayog – Kajjin 2016” , a joint coast guard exercise got underway off the coast of Chennai. The exercise will focus on anti-piracy procedures, search and rescue operations and interoperability between the two forces and other areas of common professional interest. 04. Jump in Investment in renewable energy: Investments in the renewable energy sector surged 22% to touch USD 10.9 billion in 2015. This is s mainly to the government’s ambitious push to install 100 gigawatt (GW) of solar power capacity by 2022. 05. Cleaning up of bank books – Centre to assist Banks: Stressed assets of all banks aggregated to 11.3% and for PSBs it was 14.1%. Hence the government has decided to assist banks to clean up their books by infusing the capital it needed for the same. 06. Award for auto driver from Tamil Nadu: Prime Minister Modi conferred the “Times Now” Amazing Indians Awards 2016 to Sri. S Murugan, Auto Driver from Tamil Nadu under the category “Ordinary Indians – Extra Ordinary Achievement” for his act of rescuing and rehabilitating thousands of street children . 07. SBI launched India’s first start-up focused bank branch SBI In Cube: State Bank of India has launched an exclusive branch for identifying the financial needs of startups. The SBI InCube branch will work towards fulfilling the specific financial needs of the start-ups. 08. Defence Research and Development Organization (DRDO) test fires Nag: DRDO has successfully test fired the anti-tank missile “Nag” in Rajasthan. The test was conducted during a night trial to validate the enhanced 4-km range capability of imaging infra red seeker which guides the missile to the target after its launch. 10. Kerala achieves 100% primary education: Kerala became the first state in our country to achieve 100% literacy at the primary education level. The success of Kerala in achieving total primary education can be attributed to various initiatives undertaken by the Kerala Literacy Mission in the last two decades. 01. E-enabled track management system introduced: The Railways have implemented the e-enabled track management system to bring efficiency and effectiveness in management practices which involve handling of huge volumes of data statistics as well as dynamic analysis of various measurement and defects and planning, deployment of large resources. 02. Nepal elected to UNICEF executive board: Nepal was elected to the UNICEF executive board for the period from 2016-2018. Incidentally, the country recently completed its terms as a member of the UN Economic and Social Council (ECOSOC) for 2013-2015. 03. Luxury Tax imposed: A luxury tax of 13.5% was introduced on few select items like sweet which sells at more than Rs.500 per kg and also mosquito repellents by the government of Bihar. 04. New Highways to be added by January 26th: 50000 kms worth of highways are to be upgraded into National Highways. The Prime Minister would also lay the foundation for construction of 1000 km highways to connect Char Dhams at a cost of Rs.11000 crores. 05. India’s domestic passenger traffic grows: India’s domestic passenger traffic surged by a robust 25.1 per cent in November last year, fuelled by higher capacity deployment, improved economic sentiment coupled with Diwali rush. 06. CII Partnership summit concludes in Vizag: Confederation of Indian Industry (CII) conducted the partnership summit in Vishakapatnam in AP and was organized to bring out the investment opportunities in AP. Reliance Group would be setting up a naval facility at Vizag under an agreement with the government of AP. 07. Life membership for Amitabh Bachchan: Veteran Hindi Actor Amitabh Bachchan was bestowed with Honorary Life Membership Award by Mohammedan Sporting foot ball club in Kolkata. Mohammedan Sporting Club was founded in 1891 at Kolkata and is one of the oldest and leading football clubs in India. 08. Naya Raipur hosts 20th National Youth Festival : Naya Raipur has hosted the 20th National Youth Festival. 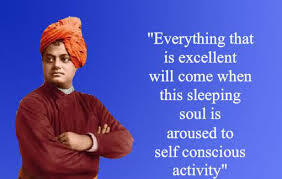 Over 6000 youths from across the country will participate in the five day long event. Contests from 18 various disciplines, including folk dance, folk song, drama, classical music, classical dance, extempore etc. will be witnessed at the festival. 01. Industrial Output (IIP) shrinks 3.2% in November: Industrial output contracted 3.2% in November, its first drop in 2014. On the other hand, retail inflation rose to 5.61% and food inflation rose to 6.4% during November 2014. 02. Union Cabinet approved MoU between India and Maldives for co-operation in Health Sector: Union Cabinet approved MoU between India and Maldives which will include common areas in the field of health and healthcare. 03. Kullu dance enters Guinness Book of World Records: Kullu Folk dance has made its entry into the Guinness Book of World Records, where 20000 dancers performed at a fete. The program lasted for an hour. 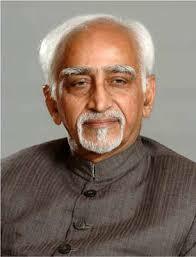 04.Hamid Ansari releases new book: Vice President Hamid Ansari has released his new book titled “Jawaharlal Nehru and The Indian Polity in Perspective” . The book brings out the efforts taken by Jawaharlal Nehru. Eminent persons like Justice K T Thomas, Dr Rajan Kurukkal, Dr B Vivekanandan, M G Radhakrishnan had contributed to the book. 05. Gender education made compulsory at College level: Telengana state has made gender education compulsory at college level. In this connection, a bi-lingual text book titled “Towards a World of Equals” was released and this book focuses on gender in its composite form. 06. National Award on e-governance for Employees Provident Fund Organization (EPFO): The EPFO department has won the prestigious National Award on e-governance for implementing the Universal Account Number (UAN). Under this scheme, employees would be allotted universal number which can be linked to various provident fund account numbers provided to them while working in different organizations. 08. Rashtriya Ispat Nigam Limited (RINL) signs deal with Andhra Pradesh Government : RINL has signed a deal with AP government worth Rs.38500 crores. The projects include modernization of the port, construction of cake oven battery and slurry pipe line and pellet plant. 01. January 10th is 11th World Hindi Day: The 11th World Hindi Day was celebrated on 10 January 2016. To mark the occasion, Ministry of External Affairs (MEA) through its missions/posts abroad and the Department of Official Language (Rajbhasha) conducted special events to spread the greatness of the language. 02. 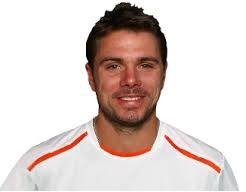 Stanislas Wawrinka won third consecutive Chennai Open title: This is his fourth Chennai open title and to attain this feat, he defeated Borna Coric in the finals match. The tournament carried an award money of 75700 US dollars. 03. Reliance to set up Rs. 5,000-crore naval shipbuilding unit near Vizag: Reliance Group will set up a naval ship-building facility near Visakhapatnam at a cost of Rs. 5,000 crore. It is the single biggest investment in Andhra Pradesh after its bifurcation. 04. Indian luxury market to cross $18.3 billion by 2016: Indian luxury market is expected to cross $18.3 billion by 2016 from the current level of $14.7 billion growing with a compound annual growth rate (CAGR) of about 25 per cent, according to a Assocham study. 05. IOB to close down 10 regional offices to improve efficiency : Indian Overseas Bank said it has 59 regional offices and 7 zonal offices, and out of the above, it would close down 10 regional offices to improve efficiency. 06. Post Bank likely to handle DBT schemes : The entire direct benefit transfer (DBT) scheme for distribution of government subsidy is likely to be handled by the Post Bank - the new payments bank which will be under the Department of Posts. Public Investment Board (PIB) will consider this proposal in its meeting on January 15 and then send its recommendation to Cabinet Committee on Economic Affairs for final approval. 01. Online forum for LPG Consumers: As part of the e-governance initiative of the government, it has launched two portals myGov.in and mylpg.in for LPG consumers to discuss issues relating to LPG consumption and also increase the base of LPG consumers in the country. 02. Urjit Patel re-appointed as RBI Deputy Governor for Three Years: Dr.Urjit Patel has been re-appointed as the Deputy Governor of RBI for a further period of three years. Patel who joined RBI on 11 January 11, 2013 had headed a committee that paved the way for the proposed monetary policy committee. Patel, a doctorate from Yale University, also had a stint at IMF. 03. 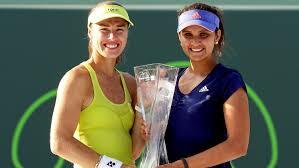 Sania – Hingis pair win again: Sania Mirza and Martina Hingis have won the 2016 WTA Brisbane International Tennis Trophy. With this win, they have achieved the rare feat of winning 26 matches together. 04. Governor’s rule imposed in Jammu and Kashmir: Following the death of Mufti Mohammed Sayeed, Governor’s rule has been imposed in Jammu and Kashmir. During the Governors rule, State Assembly is either suspended or dissolved and the state completely comes under direct Central rule. 0 5. Andhra Pradesh promises business approvals in 21days: During the inauguration of the CII Summit, AP Chief Minister has promised that all business proposals would be cleared in 21 days. Delegates from 45 countries participated in the summit. 06. Internet to go big: Government is targetting to reach the 50-crore internet subscribers mark in the next 6-7 months, besides installing 2,500 wi-fi hotspots at 256 places by the next fiscal. As on date, the mobile penetration is 100 crore, while internet penetration is 40 crore. 07. National Buildings Construction Corporation Ltd (NBCC) orders to touch Rs.40000 crores: State-run blue chip firm NBCC’s order book is likely to reach Rs 40,000 crore by end of this fiscal. (NBCC), a Navratna enterprise, was listed on stock exchanges in April 2012 with a total market capitalisation of about Rs 12000 crore. 08. E-filing of Income Tax Returns (ITR) cross 50 lakhs: The Income Tax department’s ambitious OTP-based ITR filing system for taxpayers has crossed the 50 lakh e-verification mark, while more than 39 lakh Aadhaar numbers have been successfully linked with the PAN database after the scheme was launched over six months back. 09. Domestic IT spend to grow 13.5% in 2016, touch Rs 1.91 lakh cr: IT spending in the domestic market is expected to grow 13.5 per cent to Rs 1.91 lakh crore this year, says a report. According to research firm Core Quadrant, the domestic IT industry revenue in India is expected to grow to Rs 1.91 lakh crore in 2016, against a spending of Rs 1.68 lakh crore in 2015. 10. 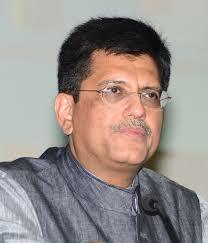 LED lights reduce power consumption in India: By switching over to LED lights, and replacing 71 crore conventional bulbs by LED bulbs it will result in a saving of 100 billion units of electricity says Piyush Goyal, the Union government’s minister for power, coal, new and renewable energy. 01. Ban on Jallikattu lifted: Union Government has lifted the ban on ‘jallikattu’ a traditional sports of bravery in Tamil Nadu, which will be held during the time of Pongal. The notification said that bulls can be exhibited and trained as performing animal at different events of different states as per the customs or tradition of any community. 02. Sailesh is the new Registrar General and Census Commissioner of India: Additional Secretary of Home Affairs, Sailesh, was appointed as the Registrar General and Census Commissioner of India. The Office of the Registrar General and Census Commissioner, Ministry of Home Affairs is responsible for conducting the decennial Census. 03. Enemy Property (Amendment and Validation) Ordinance, 2016 Act promulgated : The Amendments in the Act will help is dealing with the loopholes of the Enemy Property Act, 1968 and ensure that the enemy properties that have been vested in the Custodian remain so and they do not revert back to the enemy subject or enemy firm. 04. NPCI and CSC eGov launch Aadhaar enabled payment system : Country’s retail payment platform NPCI and CSC eGov have jointly launched Aadhaar enabled payment system that will facilitate government entitlements such as NREGA as well as old age pension. 06. Andhra Pradesh will sign Rs 2L-cr MoUs at CII summit: The Andhra Pradesh government will be signing about 100 MoUs worth over Rs 2 lakh crore across various sectors during the Confederation of Indian Industry (CII) Partnership Summit 2016. The primary focus would be on AP’s capital city Amaravathi and converting it into a hub of economic diversity, employment and development. 07. Massive fall in oil prices: Oil prices fell below USD 33 per barrel, which will be the lowest in the last 12 years. Oil prices have fallen by around 70 percent since mid-2014, hurting oil companies and governments that rely on crude revenue. 08. Government collects Rs.2,428 crores under black money scheme: The government has mopped up Rs 2,428 crore from 644 taxpayers who have opted for the one-time black money compliance window under the Black Money (Undisclosed Foreign Income and Assets) and Imposition of Tax Act, 2015. 09. Extra provisioning for NPAs to hit bank profits in Fiscal Q3 and Q4: The December and March quarter earnings of state-run banks may turn out to be the worst in years as they have been mandated to set aside funds not only on loans that are not being repaid on time, but also on those that have shown signs of weakness on the books of other lenders. 01. Sports university to come up in Jharkhand: A CCL sports university is being set up in Jharkhand with about 1500 students. It will be a subsidiary of Coal India Limited and will be monitored by Union Ministry of coal. 02. Share prices crumble and tumble on fear of China: China accelerated the depreciation of the yuan sending regional currencies and stock markets tumbling as investors feared the Asian giant could trigger competitive currency devaluations from trading partners. China’s stock markets were suspended for the rest of the day less than half an hour after opening as a new circuit-breaking mechanism was tripped for the second time this week. 03. Phase –I of River Information System (RIS) Launched: Phase-I of RIS was launched to facilitate safe and secured navigation on River Ganges. Under this scheme 7 monitoring stations will be set up at remote places at a cost of Rs.26.23 crores. 04. Foreign tourist arrivals grow by 4.4 pc in 2015: Foreign tourists arrivals last year grew by 4.4 per cent at 80.16 lakh against 76.79 lakh in 2014. The figures were 80.16 lakh against 76.79 lakh in January-December 2014, a growth of 4.4 per cent, . Foreign Exchange Earnings (FEEs) from tourism during January-December last year were Rs. 1,26,211 crore. 05. Award for Dr.Raghuram Rajan: RBI Governor Dr.Raghuram Rajan was conferred with the “Central Banker of the Year Award (Global and Asia Pacific) region. The award was given by the Financial Times Group's monthly publication The Banker. 06. “Stand Up India” scheme to fund SC/ ST women entrepreneurs : With an aim of creating jobs and promoting entrepreneurship, the Cabinet today approved Rs 8,000- crore funds that will stand guarantee for loans to new ventures and also announced ‘Stand up India’ scheme for credit facilities to SC, ST and women entrepreneurs at lower rates. 07. Shakthi 2016 launched: India and France have recently launched a joint exercise named Shakthi-2016 for countering terrorism and insurgency. 56 service personnel from France participated in the bilateral exercise. The exercise will be focused on counter terrorism operations in backdrop of semi-urban terrain under United Nations Mandate. 09. Offensive against Maoists has been named “Operation Green Hunt” : An all-out offensive against Maoists has been commenced by India’s paramilitary forces and has been named “Operation Green Hunt”. This term has been coined by the police officials of Chattisgarh. 10. ICICI Bank to spend Rs 100 crore on CSR this fiscal : ICICI will be spending Rs.100 crore for Corporate Social Responsibility (CSR) projects. Half of that amount will be spent on providing vocational training through the bank's non profit company ICICI Foundation to the youth from economically weaker sections, in electrical & home appliance repair, refrigeration & AC repair, two & three wheeler service technician, selling skills and office administration. 1. Sri Lanka, Pakistan to expand FTA: Sri Lanka and Pakistan have agreed on the inclusion of services and investment in the bilateral free trade agreement, Pakistan’s Prime Minister Nawaz Sharif said. This would help companies of the two nations to form joint ventures for exports to other nations, Mr. Sharif said, after participating along with Sri Lankan President Maithripala Sirisena in an event to mark the signing of several memorandam of understanding at the President’s Secretariat. 2. ISRO to Set up 100 Acre Space Park in Bengaluru: As part of Make in India initiative, Indian Space Research Oraganisation (ISRO) has decided to open a 100 acre Space Park in Bengaluru where private industries would be allowed to take up manufacturing of space system related components. 3. North Korea nuclear test breach on UNSC resolutions: NATO: North Korea said it conducted a powerful hydrogen bomb test , a defiant and surprising move that, if confirmed, would be a huge jump in Pyongyang’s quest to improve its still-limited nuclear arsenal. 4. J&K Chief Minister Mufti Mohammad Sayeed dead: Chief Minister of Jammu and Kashmir Mufti Mohammad Sayeed passed away of multiple organ failure in New Delhi on 7th January morning after nearly a week-long hospitalisation. He was 79. "He died due to multi-organ failure at 9:10 this morning despite our best attempts to resuscitate him," said an AIIMS official. 5. Paramilitary forces to have 33% reservation for women in constable level position: Union Home Minister Rajnath Singh: There will be 33% reservation for women at constable-level posts in Central Reserve Police Force and Central Industrial Security Force, and 14-15% reservation at the constable level in border guarding forces. 6. 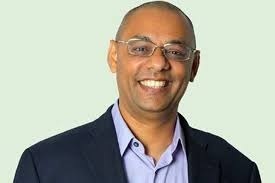 IAMAI appoints Freecharge founder Kunal Shah as chairman : Industry body Internet and Mobile Association of India (IAMAI), which counts companies such as Facebook, Microsoft and Google as members, named Kunal Shah, co-founder FreeCharge as its new chairman. 7. Gadkari launches India's first River Information System: Union Shipping Minister Nitin Gadkari inaugurated the River Information System (RIS) - the first of its kind in India - to facilitate safe and accurate navigation on National Waterway-1 (the Ganga River). The River Information System is a major step in realising the dream of waterways," said Gadkari, according to an official statement statement. 8. International media conference in Mysuru: The Global Communication Association (GCA), a not-for-profit professional organisation, to host the 11th international conference of media experts and communication specialists from around the world at Mysuru on January 28-29. The meet has University of Mysore, which is celebrating its Centenary year, as its academic partner for hosting the conference. 9. Mysuru to get Cauvery river gallery: Karnataka’s Tourism and the National Academy of Sciences of India (NASI) have signed a memorandum of understanding to set up a Cauvery river gallery in Mysuru. The gallery, to be built at a cost of ₹3.5 crore, is expected to showcase the life, culture and biodiversity along the river from its birth in Kodagu till it reaches the Bay of Bengal. The exhibits at the gallery would also include multimedia features and electronic display to provide the visitors an immersive experience of life and culture along the river. 10. Cabinet okays ‘Sampoorna Arogya Keralam’ medical care project: The State Cabinet has decided to implement the ‘Sampoorna Arogya Keralam’ project announced in the 2015-16 State budget. The project aims to bring all major government health services under one umbrella. With this, people will not be required to visit multiple offices or agencies for medical care. Smart card: Instead, they can go to enlisted public and private hospitals and get the services through a smart health card. A Sampoorna Arogya Keralam Trust would be set up to implement the initiative. All families with annual income below ₹3 lakh will be brought under the project, an official release said here. 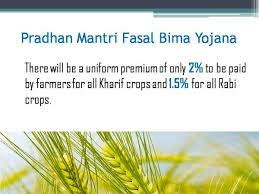 At least 42 lakh such families are expected to benefit. 1. Odisha raises VAT on petrol and diesel by 3%: The Odisha government today increased the Value Added Tax (VAT) on petrol and diesel by three per cent each, making the fuel dearer. The finance department issued a notification stating that the VAT on petrol and diesel would be 26 per cent from earlier rate of 23 per cent. 2. First MOU on “UDAY” signed , Heralds the onset of major power distribution reforms in the country: The Government of India, the State of Jharkhand and the JBVNL (Jharkhand Bijli Vitran Nigam Limited) signed a Memorandum of Understanding (MOU) under the Scheme UDAY – “Ujjwal Discom Assurance Yojana”. The signing of the MOU would have significant benefits for the JBVNL, with the state of Jharkhand taking over 100% liabilities of outstanding dues with CPSUs and 75% of the outstanding debts of JBVNL as existing on 30.09.2015. The JBVNL would have annual savings of almost Rs 115 crore as annual interests costs through reduction of debts of JBVNL from Rs 1165 crore to Rs 291 crore, i.e by an amount of Rs 874 crore. This would help the DISCOM to save more than Rs 1000 crore annually by way of surcharge on outstanding dues to Power Generators. 4. Union Government abolished export duty on Iron Ore Pellets: To improve capacity utilisation of pellet plants and boost the sector, Union Government reduced export duty on iron ore pellets to zero from 5 percent. The government also 5% export duty on pellets, 10% on bauxite and 30% on chromite and iron ore.
5. India keen on promoting operational oceanography: Y.S. Chowdhary Minister: India is keen on promoting operational oceanography as it plays an important role in translating benefits of science to the common man, said Union Minister of State for Science and Technology Y.S. Chowdhary. Laying the foundation stone for ‘International Training Centre for Operational Oceanography’ (ITCO-Ocean) at the ESSO-Indian National Centre for Ocean Information Services (INCOIS). 6. BHEL commissions 600 MW thermal unit in Telangana: Bharat Heavy Electricals Ltd has announced it has commissioned the first 600 MW coal-based thermal power plant in Telangana, a state where it has an order book of 6,000 mw. Significantly, the unit commissioned at Kakatiya Thermal Power Project in Warangal, is the highest rating unit in the State. One coal-based unit of 500 MW rating, commissioned by BHEL in 2010, is already operational at Kakatiya thermal plant. 7. Harper Lee’s novel tops U.S. bestseller list: Harper Lee’s second novel Go Set a Watchman topped the US bestseller list in 2015, selling 1.6 million copies more than half a century after her Pulitzer-winning first book was published. 8. Filippo Grandi assumed office as UNHCR Chief: Filippo Grandi on 1 January 2016 took over as the new High Commissioner for the United Nations Refugee Agency (UNHCR). Grandi succeeded Antonio Guterres, a former Portuguese Prime Minister, who retired on 31 December 2015 after heading the Refugee Agency for 10 years. 9. Reliance Capital gets nod to acquire Goldman Sachs’ Indian fund arm: Reliance Capital Asset Management, part of the Anil Ambani-led group, said it has got the Competition Commission of India’s (CCI) nod for acquiring Goldman Sachs’s onshore business in India like mutual funds and exchange-traded funds. In October 2015, Reliance Capital Asset Management had said it is acquiring Goldman Sachs’s onshore asset management business for Rs 243 crore ($37.5 million) in an all-cash deal. 10. Mumbai’s Dhanawade hits 1,009 runs in 323 balls:Sachin says well done: Mumbai teenager Pranav Dhanawade scripted history by becoming the first cricketer ever to notch up a four-figure score by smashing an unbeaten knock of 1,009 in an inter-school tournament. The 15-year-old’s knock included 129 fours and 59 sixes during the match at the Union Cricket Academy ground in Kalyan. The effort helped his school declare on 1465/3, which is also a record for the highest ever team score. 1. ARAI, Sarabhai Space Centre to develop car batteries: The Automotive Research Association of India (ARAI) and Vikram Sarabhai Space Centre (VSSC) are to collaborate to develop a battery for passenger cars using technology which is used to make batteries for space vehicles. ARAI will develop and test the batteries for use in electric and hybrid electric vehicles and offer the technology to manufacturers for mass production. 2. Gadkari announces Rs 41,000 cr road projects for Telangana: Union Minister Nitin Gadkari announced road projects worth Rs 41,000 crore for Telangana, including two Express Highways from the state capital Hyderabad to Bengaluru in Karnataka and Vijayawada in Andhra Pradesh. 3. Toilet in house made mandatory for contesting in Bihar panchayat polls: The Bihar legislative Assembly passed a legislation incorporating a provision making it mandatory for candidates contesting panchayat polls in Bihar to have toilets at their houses. The provision has been incorporated in the Bihar Panchayat Raj (Amendment) Bill, 2015 which was passed by the Assembly by a voice vote amid ruckus created by the opposition BJP members. 4. Andhra Bank launches IMPS for money transfer: Andhra Bank has launched Immediate Payment Service (IMPS) at all its branches in association with the National Payments Corporation of India (NPCI). A multi-channel, multi-dimensional platform, IMPS makes payments possible within fraction of seconds with all the standards and integrity maintained for security. 5. India-Nepal bus service resumes after 27 years: A friendship bus service between India and Nepal via Champawat in Uttarakhand resumed after a gap of 27 years, much to the delight of people on either side of the border who have family and trade ties with each other. These air-conditioned buses with free Wi-Fi facility, painted with Indian and Nepalese flags, will enter the Nepalese district of Kanchanpur at 6 a.m. everyday and start for Delhi, and return from there at 6 p.m., in-charge of Sharda barrage international police station, B.M. Upreti said. 6. Oasis Group to invest Rs 500 crore for setting up ethanol plant: Oasis Group is planning to invest Rs 500 crore for establishing a wheat-based ethanol plant with capacity of 5 lakh litres per day at Ferozepur in Punjab. At present, mostly sugar mills are producing ethanol in the country, which is being sold to the petroleum companies. 7. Kate Atkinson wins Costa novel prize for A God in Ruins: The British writer, Kate Atkinson has won the 2015 Costa novel award for her novel “A God in Ruins”, the companion her previous novel to ‘Life After Life’. With this, she became the first British author to receive a Costa prize three times. 8. Nokia completed acquisition of Alca-Lucent for 15.6 billion euro: Nokia Corporation on 5 January 2015 announced that it completed the regulatory formalities for acquiring the French telecom equipment company Alca-Lucent. The deal, worth 15.6 billion euro, was signed in 2014 and later approved by the European Commission. 9. Sachin bats on a different pitch: ‘Master Blaster’ Sachin Tendulkar was batting on a different pitch and the strokes too were naturally were different, endorsing the campaign against diabetes as the brand ambassador of ‘Changing Diabetes’ initiative of Novo Nordisk, the world’s leading diabetes care company. 10. Mary Barra is General Motors chairman: General Motors chief executive Mary Barra was named chair of the automaker, smashing yet another gender ceiling in the US auto industry. The GM board of directors unanimously elected Barra to its helm, and she will remain CEO, the largest US automaker announced. 1. Pranab gives assent to 5 key legislations: A law enabling setting up of commercial benches in select high courts and another on arbitration for speedy settlement of high value business disputes are among five legislations which have got nod from President Pranab Mukherjee. Mukherjee gave nod to the Arbitration and Conciliation (Amendment) Act; the Scheduled Castes and the Scheduled Tribes (Prevention of Atrocities) Amendment Act; the Commercial Courts, Commercial Division and Commercial Appellate Division of High Courts Act; The Atomic Energy (Amendment) Act; and the Payment of Bonus (Amendment) Act, 2015, official sources said. 2. PM lays foundation for HAL's new helicopter plant in Tumkur: The construction work for the new helicopter manufacturing unit of Hindustan Aeronautics Limited (HAL) in Tumkur district in Karnataka has begun with Prime Minister Narendra Modi unveiling a plaque for the foundation stone of the new plant on January 3, 2015. 3. Paytm acquires Shifu for $8mn to enrich customer experience: Paytm has acquired Shifu for $8 million (about Rs 53.2 crore), a move that will enable the digital payments company to offer more personalised user experience. 4. 207th Birth anniversary of Louis Braille celebrated across the world: On 207th birth anniversary of world’s greatest source of inspiration for the blind, an impressive function was organized by the Department of Social Welfare at Residential School for Blinds (RSB) at Roop Nagar. Louis Braille, who despite being himself blind, struggled greatly and wrote a golden chapter for millions of blind, the developer of Braille Code, was born on January 4 in 1809. The day is celebrated as “World Braille Day”. 5. Wipro names Abid Ali Neemuchwala as CEO: India’s third largest IT exporter Wipro Limited announced the appointment of Abid Ali Z. Neemuchwala as the Chief Executive Officer and Member of the Board of the company. The company also appointed the current CEO T.K. Kurien as the Executive Vice Chairman. Both the appointments will be effective from February 1, 2016, the company said in a release. 6. Padma Shri awardee VVS Laxman’s 281 awarded the Best Test Innings: Eclipsing several other great individual knocks, V V S Laxman’s masterly innings of 281 against Australia at the Eden Gardens in Kolkata has been rated as the greatest Test performance of the last 50 years.